A recent study has established a link between the onset of maternal mental illness and a child’s risk of not completing primary education before the age of 18. An international team of investigators studied 648,248 children living in Denmark to determine whether maternal mental illness, and the date of its onset, play a role in the risk of a child’s failure to complete primary education. While a link between not completing primary education and having a mother with a mental disorder had been previously established, it was unknown whether specific timing of onset could be associated with completion. Using data from the Danish Civil Registration System, the Danish Psychiatric Research Register, and the Primary Education Register the investigators identified 648,248 children born and living in Denmark from Jan. 1, 1986 to Dec. 31, 1996. Of the 648,248 children identified, 55,911 (8.2%) had a mother with a mental disorder. 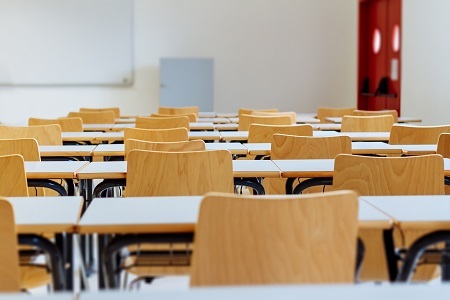 Investigators determined the completion of primary education through examining test results and it was considered not completed if there were no records of a final exam in the register. An additional 2 years of follow-up was given to allow kids who graduated later but before the age of 18. From that group of 55,911, investigators identified 45,196 that did not complete primary education before the age of 18. Of that group, 38,603 (85.4%) had no psychiatric contact, 1702 (3.8%) had an onset before pregnancy, 66 (.2%) had an onset during pregnancy, 195 (.4%) had an onset within a year of birth, and 4630 (10.2%) had an onset occur between 1 and 16 years after birth. Investigators determined that children of mother with maternal mental disorders were more likely not to complete primary education compared to children of mothers with no recorded mental disorders. The investigators’ findings suggest that the duration of a maternal mental illness is associated with completion in children, with longer durations having the strongest association. Association of timing of onset with school completion in offspring was strongest if mothers had a mental disorder before conception. Association was weaker, yet still significant if onset of maternal disorders was observed 1 to 16 years after the birth of the child. In addition to this, association of timing of onset with school completion was observed after adjusting for maternal age at birth and mental disorders in the child and father. Investigators noted that the study was limited due to their inability to adjust for the child’s IQ and severity of mental illness as confounders. Katja Ingstrup, PhD, Postdoc at the School of Business and Social Sciences at Aarhus University and study co-author, told MD Magazine® she would like to see the study replicated to address some of these limitations. “We think it is important to create awareness of the mental health of the mother and that this affects the offspring. This has been shown in many studies, and now in ours too. Our study contribute with the fact that timing of maternal disease onset matters. It is important to stress that our study needs to be replicated as we for instance did not include the IQ of the child, but it overall suggests a vulnerability in children whose mothers suffer from mental disorders,” Ingstrup told MD Magazine. This study, “Association of timing of Onset of Maternal Mental Disorders With Completion of Primary Education in Offspring”, was published in the Journal of the American Medical Association.